Ornithology conducts research and provides undergraduate and graduate education on the birds of the world. Research topics include the species limits and species diversity, evolution, geography, genetics and genomics, morphology, conservation, ecology, and behavior. This work is greatly enhanced by extensive research collections of world birds, many of which were recently collected as part of the group's global bird sampling program. Ornithology's systematic collection of birds includes modern, data-rich, and highly research-useful specimens: the third largest avian osteological collection in the world, and the second most diverse avian tissue collection in the world. The study skin collections total about 60,000 specimens. These collections are strongest for the Great Plains of the United States and for Mexico, with additional holdings from across Central and South America, China, Borneo, Kenya, and Papua New Guinea. 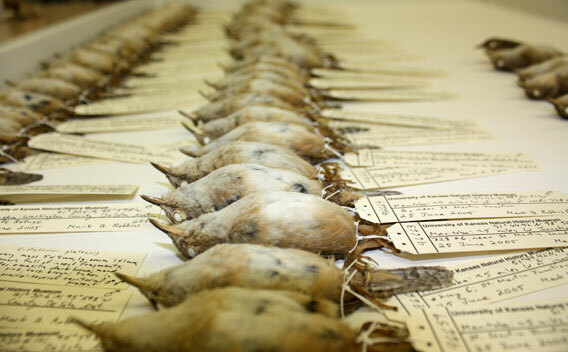 The avian osteological collections are extensive, totaling over 32,500 specimens, and ranked third largest in the world. The Ornithology group in the Biodiversity Institute takes a very broad approach to understanding bird diversity: we combine studies of phylogeny and phylogeography with avifaunal inventories and basic descriptions of bird diversity. Our research interests include pathogens (viruses, blood parasites, etc.) associated with birds, studies of species’ geographic and ecological distributions, and conservation biology related to bird diversity. 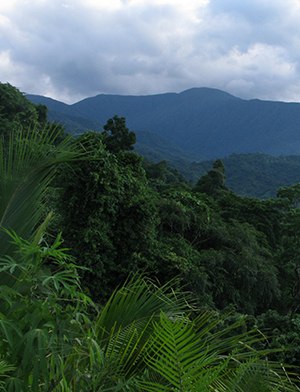 Rafe Brown, along with KU colleagues Robert Moyle and A. Townsend Peterson, will train a field team of personnel and graduate students to survey habitat affected by Haiyan where biodiversity datasets had already been produced before landfall of the storm. Comparing the “before” and “after” data will reveal the extent of the super typhoon’s destruction, as well as the ability of various species to bounce back from catastrophe. 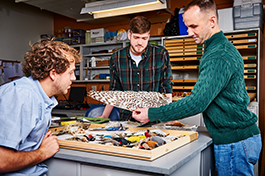 The Ornithology Collection continues to grow thanks to the tireless efforts of the division's curators, students and collaborators. The Ornithology group has carried out more than 55 expeditions to 24 countries, with one of the most active global bird sampling programs of any institution worldwide. The result is a systematic collection of birds that includes modern, data-rich, and highly research-useful specimens: the third largest avian osteological collection in the world, and the second most diverse avian tissue collection in the world.